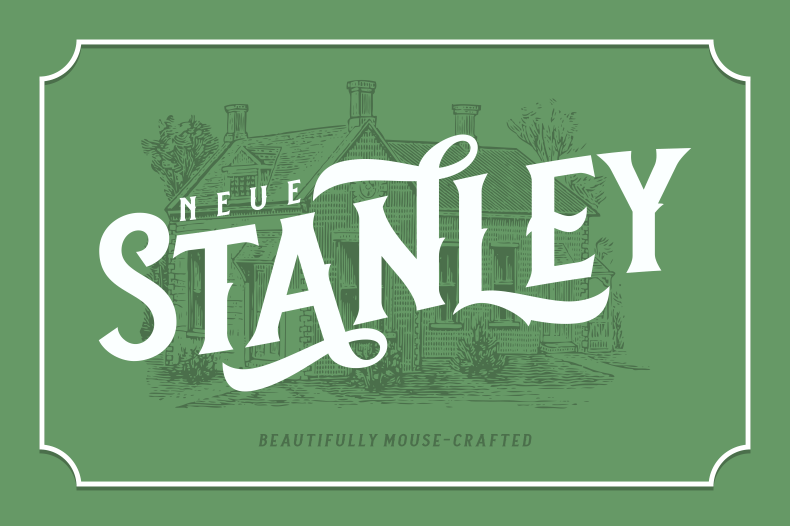 Download Neue Stanley font for free. Neue Stanley is a font / typeface offered for free. please note that if the license offered here is non-commercial you have to obtain a commercial use license / permit from the original author. Hello, we’re back with another old but new font; Neue Stanley, all-caps vintage serif with strong, clean, and sharp figures. Inspired by the classic letters that were used in the old advertisements (posters, labels, etc) Mouse-crafted with high attention to the details, satisfaction guaranteed! Whether you’re working on modern or classic themed designs, this font is a must have on your designing arsenal. Lots of fun and joy! If the Neue Stanley font is offered under 'commercial use free' or 'creative common' license, feel free to use Neue Stanley font for any purpose.